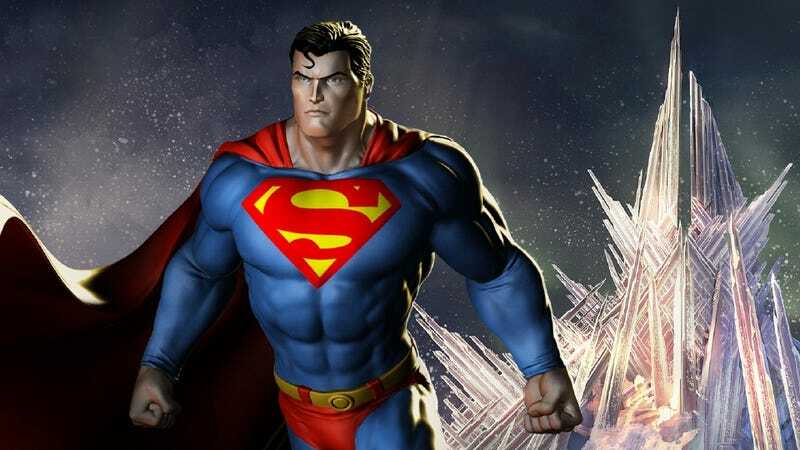 DC Universe Online's latest game update delivers a new group raid in Superman's hideout, and tunes up the difficulty in the old one at Batman's crash pad. It's available now for the game on PS3 and PC. The narrative behind the Fortress of Solitude raid involves heroes and villains forming an uneasy alliance against Brainiac, bent on taking control of Supe's sanctuary and use its technology to blow up planet Earth. Heroes will be led by Superman, villains by Lex Luthor, through ice caverns leading to the fortress and then finally to duke it out with Brainiac's minions inside. The raid supports eight players and will award "Marks of Krypton" good for picking up new swag either in the Watchtower or Hall of Doom. There will also be three Kryptonian-inspired armor sets, branded either S (Superman) for heroes or Z (Zod) for villains, and two Brainiac-inspired PvP armor sets. A PvP deathmatch arena, the game's first, also is included. Additionally, the Batcave group raid has been upgraded to a Hard Mode alert, offering four-player Group Combat and Tier 2 gear rewards.